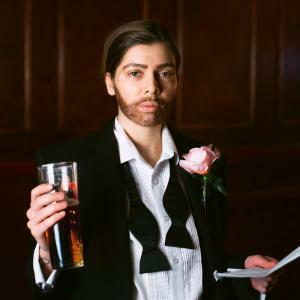 Summerhall and Feral are proud to announce that the 2019 Autopsy Award recipient is Leyla Josephine, the award-winning poet and theatre maker from Glasgow, Scotland, with her brand new solo show Daddy Drag. A tongue in cheek, heartfelt and funny performance all about the myriad kinds of Dads – the good, the bad, and the awful – and how our relationships with our fathers affect us for the rest of our lives. In Daddy Drag, Leyla Josephine attempts to understand what it means to be a father through her witty performance style, drag costumes and complex but unconditional love for her dad – all tied together by a powerhouse performance from one of the most prominent spoken word artists in Scotland. The Autopsy Award helps artists working in Scotland who make brave, boundary pushing, experimental performance work to undertake an Edinburgh Fringe run at Summerhall. The Autopsy Award began as a joint initiative between the Arches and Summerhall in which 1 or 2 shows from the Arches LIVE festival of emergent performance were selected for a Fringe festival run at Summerhall. Summerhall now runs it with help from Feral, the producing partnership of Jill Smith and Kathryn Boyle. From 2019, the Autopsy Award is supported by Allan Wilson.